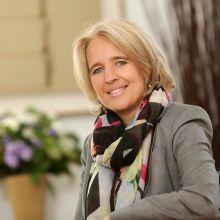 For many years Elke Böck worked internationally in various branches of industry until she met Barbara Glasmacher who placed the two Böck children at British boarding schools. 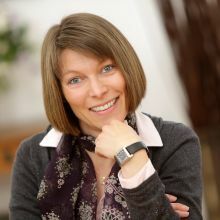 Developing a passion for this métier herself, Elke Böck joined the company as an independent counsellor almost 20 years ago. Apart from consulting and problem-solving Frau Böck’s specialist area is the intricacy of recognition requirements for university study. Of Hungarian origin Monika Domokos usually reserves her “fiery” side for her free time when she is a passionate dancer of the Tango Argentino. Being herself a speaker of six languages and having studied Business with an emphasis on Tourism, who better than she to advise you on the choice of a suitable language course? Her 18-year loyalty to the company speaks for itself. Helen was born and grew up in the North of England. 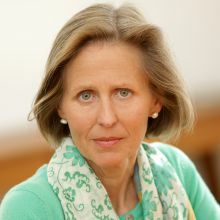 After studying Modern Languages at the University of Oxford, and a Postgraduate Certificate in Education at Cambridge, she came to Germany to teach English at a language school. Now after almost 20 years in Munich and with two children at German schools, Helen is able to combine her knowledge of both systems. She enjoys playing the piano and being in the mountains. Being a passionate mountain hiker Ursula Hilger doesn’t just reach heights in her free time, she is also the peak of efficiency and organisation in the office. 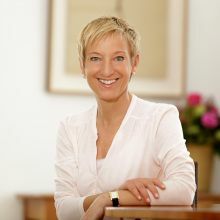 In her role as office manager and Barbara Glasmacher’s PA, which she has held for 20 years, Frau Hilger is a stable pillar at the heart of the company. Originally from Hamburg, Kirsten Kornweibel spent several years in Chile with her two young children. As such, she has had valuable, personal, first-hand experience of dealing with children’s schooling abroad. She studied Business, speaks several languages and has a good eye for detail. Even after 20 years of experience in this line of work she still takes great pleasure in making every effort to keep each and every customer satisfied. Apart from travel her great passions are outdoor sports and mountain hiking. Patricia Maier speaks perfect English, albeit with American accent! Despite her love of owls she is always fully awake and alert during her daytime work. She is mostly responsible for communicating with our numerous partner schools, ensuring they receive new student details and we always have their most up-to-date information at our fingertips. Simone Schirra is the newest member of our team. After she came from her native Berlin to Munich for her studies, she devotes herself to international exchange in her professional career. In her spare time, she, like many of her colleagues, likes to go hiking. Carolina Schweitzer brings true multicultural flair with her: born in Buenos Aires, and raised in England, Carolina spent five years at Wycombe Abbey where she completed her A-Levels. She has lived in various parts of Germany and Vienna for the past 30 years. 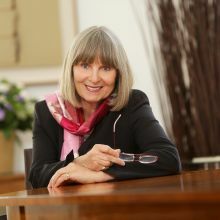 Her excellent experience with Barbara Glasmacher, who helped place both her children in the Sixth Form at Charterhouse, kindled her desire to become an educational consultant herself. Her extensive knowledge of both the German and British school systems are invaluable assets. 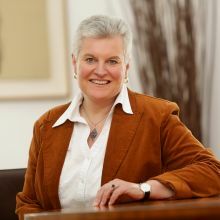 Carolina lives in Bonn and consults parents and their children in Bonn, Cologne, Dusseldorf and surrounding area. It is more Andrea Stichtmann’s sunny personality than her blonde hair and love of Italy which brings her warmth to our office. After school she spent many years working internationally in some of the world’s top hotels. A high level of service-orientation is hence second nature to her. Herself a mother, she has a great deal of empathy for parents, whatever their needs or fears. 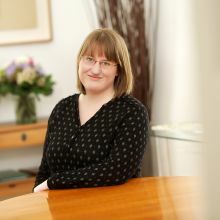 Clients and colleagues alike benefit from her longstanding experience at the Glasmacher office (18 years) which means she knows the ropes inside out. 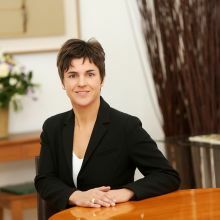 Annette Wagner has been a member of the team for over 16 years. Mrs Glasmacher still remembers well how impressed she was that Ancient Greek was one of Annette's Abitur (A-level) subjects. Being such an experienced employee, she is well-versed in all aspects of the application process. The precision she shows in her work is a welcome asset. Since the birth of her young son she manages to combine with full commitment her obligations as employee and mother. Choir singing and a love of nature help her keep a sound work-life balance. Jackie Williams is our second native speaker who also brings a typical British sense of humour with her. 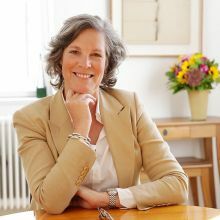 She has been consulting families interested in British boarding schools for 17 years (over eleven of those at Glasmachers). Having spent seven years as a boarder at Badminton School, where a love of foreign languages, choral singing and debating were kindled, she knows precisely what boarding life involves and how the British school system works. Furthermore, having placed her own son at a school for a term she knows equally what it’s like to sit on the other side of the fence. 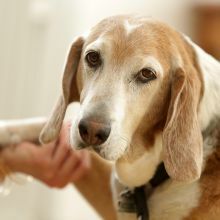 Hugo is our elderly and only office gentleman. Usually a man of leisure, following a busy career in hunting, he tends to make an appearance in the office on Wednesdays to check up on his younger female colleagues. These days, however, he finds it hard to cope with the brisk pace of office life and prefers to nod off in his comfortable armchair. He does, however, sometimes have to be asked to keep his snoring in check!